$13.75 In stock. Order in the next 3 hours, 31 minutes and it will go out today! 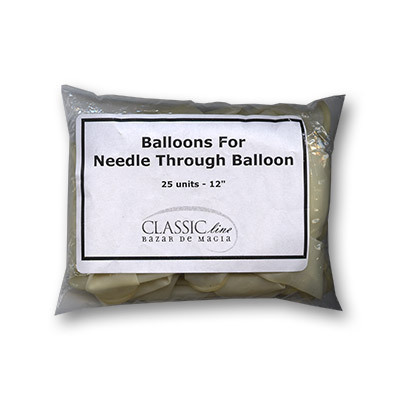 You get twenty-five 12" clear balloons; perfect for the classic Needle Through Balloon. No instructions or needle; just the perfect size and thickness balloons!